Keep your boots perfect with an innovative design that caters to any closet size. Boot Butler protects the shape and extends the life of your boots – no matter how large your boot collection grows. With its modular design, you never run out of storage – just add another unit for more vertical space. Boot Butler snaps together in 4 easy steps – no tools or hardware required. Your boot storage, solved in minutes. Preserve the shape and longevity of your boots while keeping your closet clean. Boot Butler helps to support the shape of your boots, prevent creases, and will never leave a mark like clip hangers. Face toes in or out and keep your closet organized and accessible. Hang up to 5 pairs of almost any kind of boot, from classy to combat to cowboy. 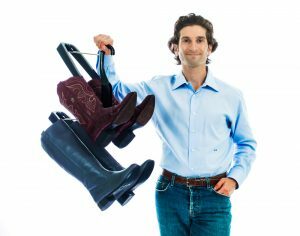 Boot Butler makes your boots easy to see and easy to put away, all in the space of only 3 dresses or dress pants. No more searching your dark closet floor to find footwear to match your outfit. Boot Butler was designed by Andrew Elstein, a custom closet designer. He watched clients struggle with their boot collections and heard their complaints about the difficulties of storing boots and the damage they often sustain on the closet floor. Andrew recognized a lack of excellent storage solutions and set out to design his own. Storage racks didn’t use space efficiently. 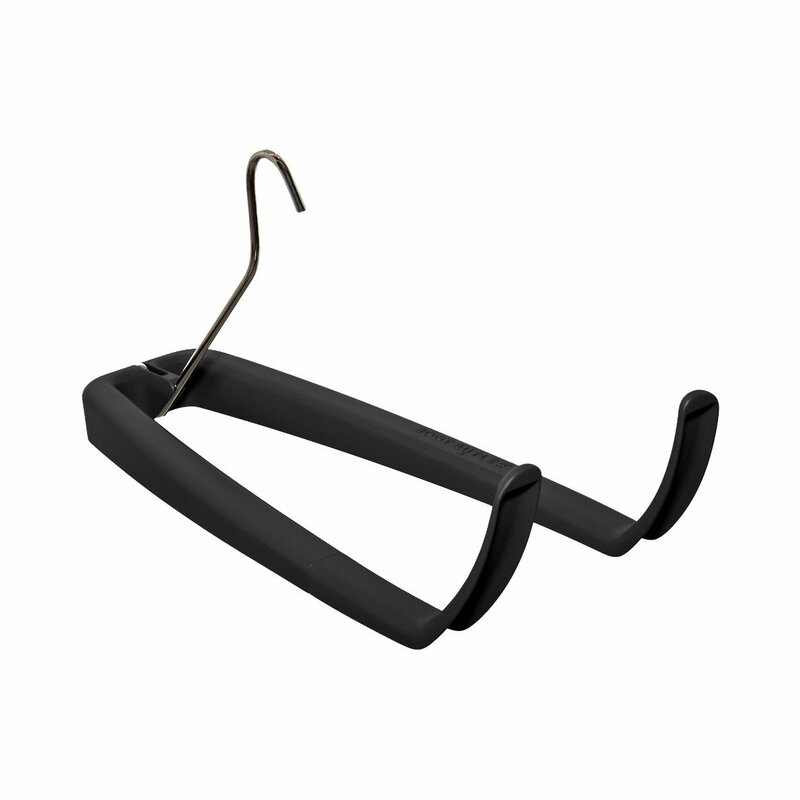 Clip hangers can scuff and damage boots. Storing boots in boxes doesn’t provide ventilation for the materials and makes them hard to find. Leaving them on the floor makes it hard to keep them organized. The best solution was to hang the boots by a mechanism which used the minimum vertical space so they could be easily seen and stored. After a number of beta versions, Boot Butler was born and has since been featured on television programs, websites and print publications including Rachael Ray’s talk show, CBS and FOX news segments, Philadelphia Magazine and Detroit Home. See all your boots at once with easy access. Gently cradles boots, extending their life and preventing creases. Stores boots in half the space.